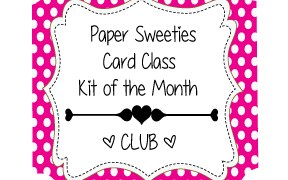 When you subscribe to the Paper Sweeties Card Kit of the Month Club, you will receive our monthly Kit at a discounted rate - $5 below the cost if you were to purchase the kits individually (plus shipping / NC residents will be charged for tax)! Billing for subscriptions will occur around the 15th of each month and the new kits will be shipped to you after payment is received. You can enjoy your subscription for as long as you'd like and cancel at any time! If for any reason you wish to end your subscription, please contact us and we will discontinue your subscription. (To avoid charging your account for another kit, please send your subscription cancellation request before the 5th day of the month in which you are cancelling to allow us time to process your request before your next kit is assembled. Kits begin shipping around the 15th of each month). Kits are not returnable or refundable.